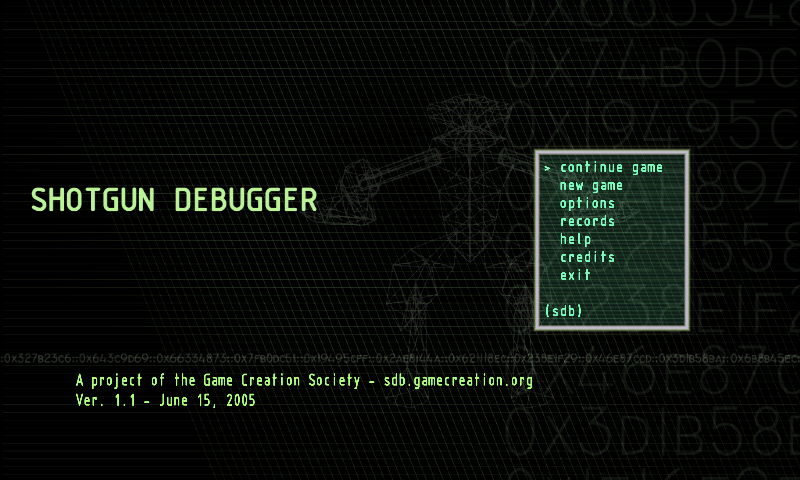 Shotgun Debugger is a shoot-em-up game I made with Carnegie Mellon University's Game Creation Society in the spring of 2005. I recently rediscovered the source code, and thought I'd put it back up. It is a 2D, top-down action game. It is The Future, and your habit of computer network exploration has finally done you in. You are captured and taken to a strange underground complex populated by robot soldiers. Your task is to escape the facilityâ€”but the hordes of walking death machines aren't just gonna let you. 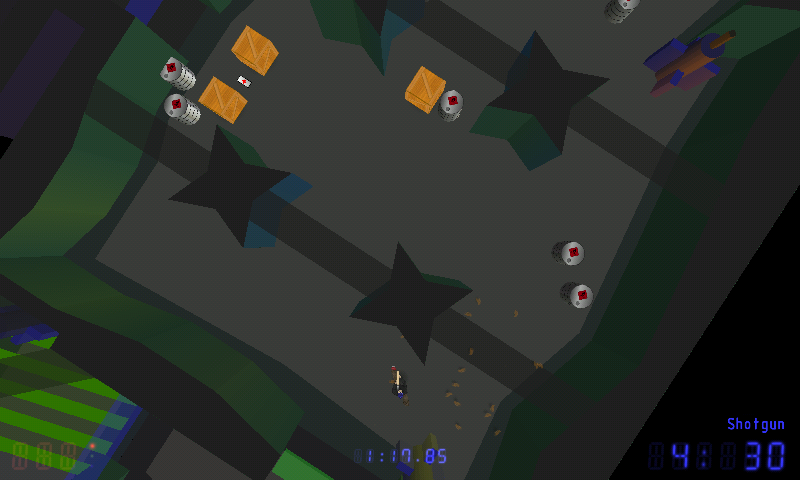 Shotgun Debugger is pseudo-3Dâ€”while gameplay is strictly two-dimensional, the world is rendered in three dimensions. Worlds are not tile-based, but polygon-basedâ€”rooms and hallways can be made to any shape imaginable, allowing for some rather impressive architecture. 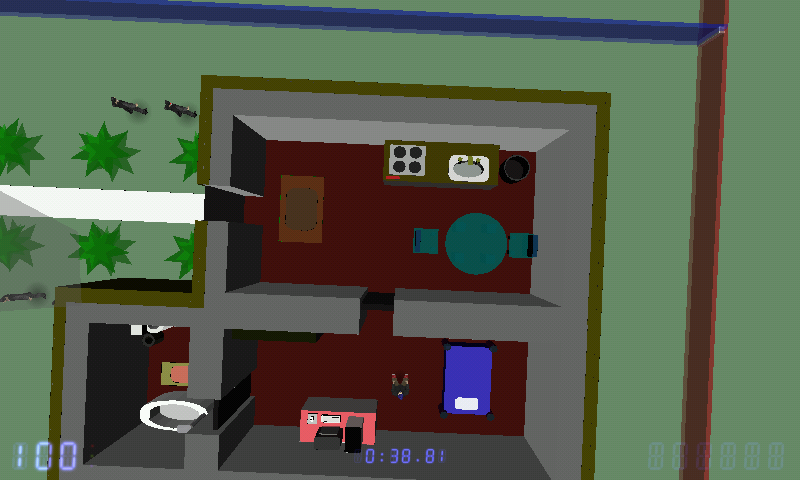 Here is Shotgun debugger, a top down action game. The game use gl4es, but I had also to remove some effect and put some optim to have it playable on the Pandora. The first level is bit difficult to apprehend because you have no weapon and must run. So, in a few words, go out of the house and follow the road. At one time, there is a police car blocking the way, you will have to find a way to go beside it.. At the end of the road is some sort of Bunker, with many turruts beside, enter that to finish the levels. Other level are more classical. Looks great. Unfortunately CC is too weaksauce for this. @ptitSeb..yes works well like gobs of goo should...very nice but I am not sure which Chex it is since all three show up upon start up. 5-/5 for whatever version it is. I have all three chex .wads for zdoom but 3 does not run on that. Working on the Megaman now.